MFTax.org is accepting requests for endorsements. To begin the process email President Steve Welcenbach at Alchem1@earthlink.net. He will conduct a phone interview with you to begin the process. 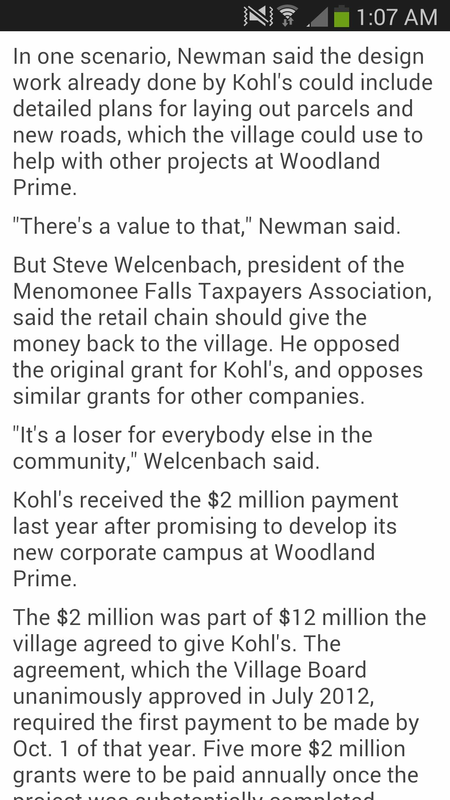 Your Menomonee Falls Taxpayer Association successfully fighting in the news media to return $2 million in corporate welfare.